This is a photo of the residence of Andrew J. Sawyer at 1718 F Street. The house was made of wood and was of a florid architectural style. Its construction cost was around twenty-five thousand dollars. Sawyer's residence served as a frequent meeting place for Lincoln's upper and middle class "society." 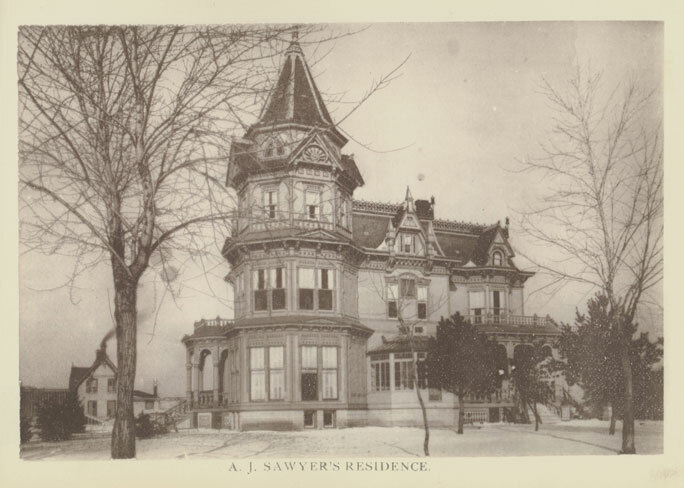 Around 1889 Sawyer began hosting New Year's Eve parties with the help of his wife at this house. He continued to host these parties for twenty-five straight years.